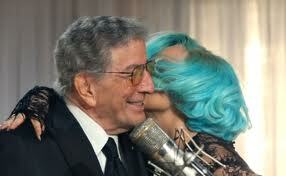 “The Lady Is A Tramp” was recorded in July, 1973 and released in 1976 on Tony Bennett Sings 10 Rodgers & Hart Songs. “The Lady Is A Tramp” was recorded in June 1992 and was released that year on Perfectly Frank. It was arranged by Ralph Sharon. “The Lady Is A Tramp” with Lady Gaga was recorded in 2011 and was released that year on Duets II. It was arranged by Marion Evans.